C3yoyodesign - Break Wind in Style! For those days when your C3yoyodesign T-Shirt just isn't enough... 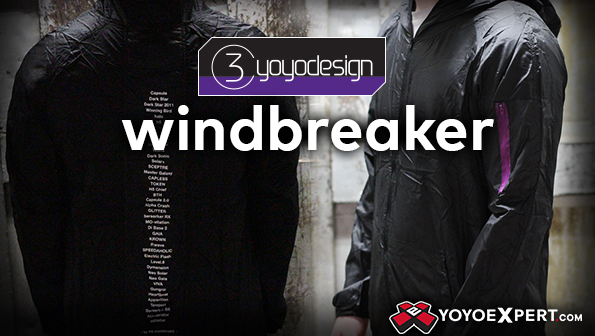 When the wind picks up and you're face to face with mean ol' mother nature... That's when you need to keep yourself protected from the elements with the new lightweight C3yoyodesign Windbreaker! This black windbreaker is finished with the C3yoyodesign logo, signature purple accents, and a list of the current C3yoyodesign lineup on the back.